"How much?" or "How many?" 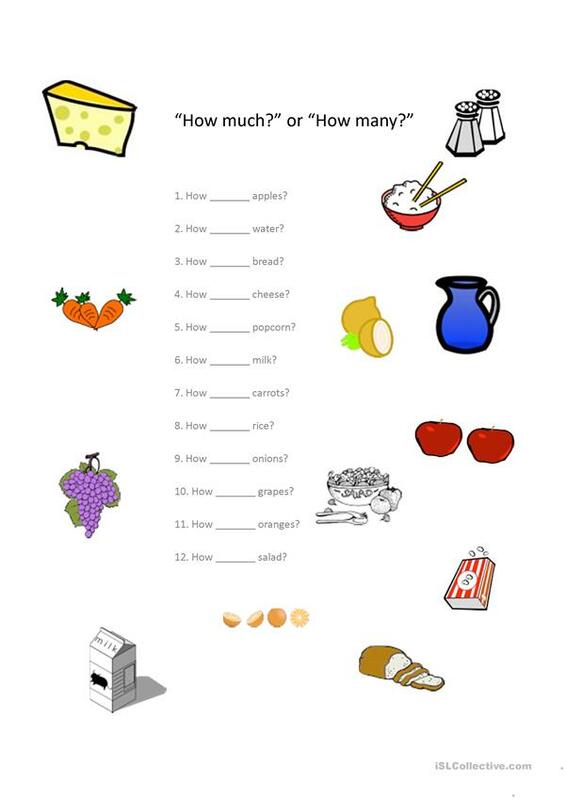 This worksheet practices the use of much vs. many using the topic of food. This downloadable handout is intended for high school students, elementary school students and adults at Pre-intermediate (A2) level. It is a useful material for revising Countable and uncountable nouns in English, and can be used for developing your groups' Writing skills. It features the theme of Food. It includes the answer key, too. mvbiber is from/lives in Switzerland and has been a member of iSLCollective since 2012-09-13 11:12:01. mvbiber last logged in on 2019-03-28 08:30:14, and has shared 3 resources on iSLCollective so far.